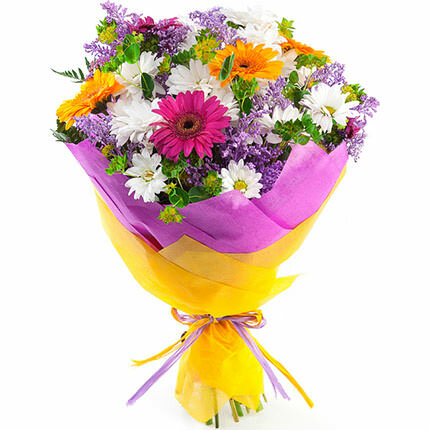 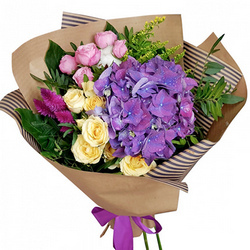 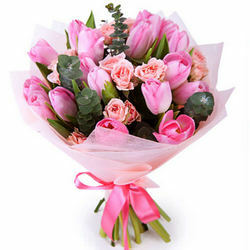 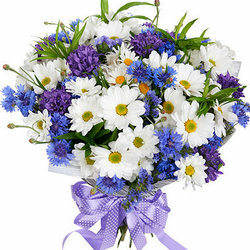 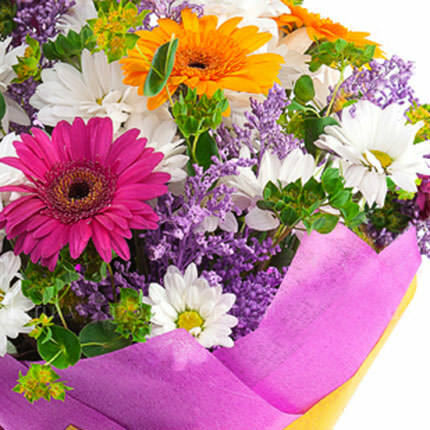 Beautiful spring bouquet will please your recipient with bright colors and a wonderful aroma for a long time! 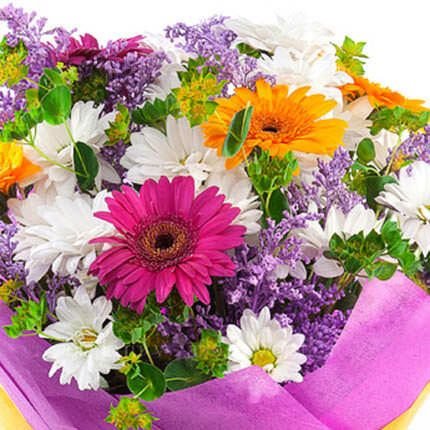 Composition: 5 multicolored gerberas, 4 branches of white chamomile chrysanthemums, statice, greenery, decoration. 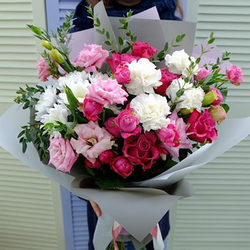 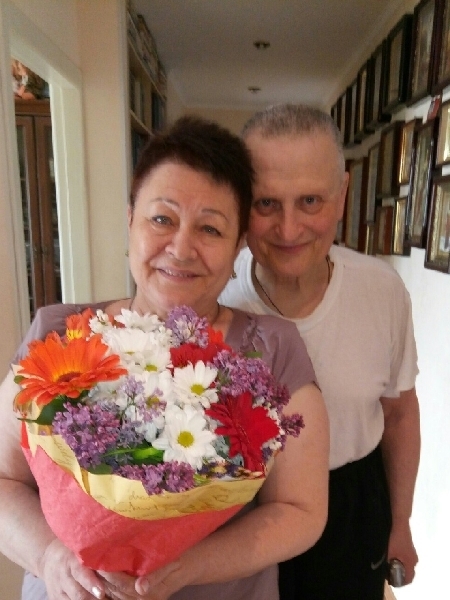 20032019 © Flowers.ua Bouquet "Our May!"